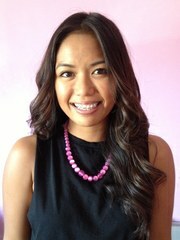 Annie Nguyen, a student in the SDSU/CGU Joint Ph.D. Program in Education, recently co-authored an article in the National Forum of Multicultural Issues Journal entitled "Caring-centered Multicultural Education: Culture and Relationship Centered." The article was written with Professor Valerie Ooka Pang and Requa Stathis, a former student of the program, and published this spring. The journal is nationally refereed and has an acceptance rate of 12%. 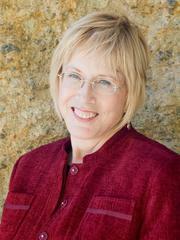 Dr. Greta Nagel, 1992 alumna of the SDSU/CGU Joint Ph.D. Program in Education, will accept the 2013 Award of Merit by the American Association for State and Local History (AASLH) on behalf of the Museum of Teaching and Learning (MOTAL) this summer. The Leadership in History Award is the nation's most prestigious competition award for recognition of achievement in state and local history. The AASLH letter of congratulations compliments the exhibit entitled: A Class Action: The Grassroots Struggle for School Desegregation in California. The exhibit explores the landmark class action lawsuit, Mendez et al. v. Westminster et al. -- a case that Dr. Nagel first learned about as a doctoral student in the program. The case was brought against four Orange County school districts by five Mexican American families in 1945 to protest their maintaining segregated "Mexican schools." Dr. Nagel, founding director of MOTAL, will accept the award on behalf of the many individuals who came together to plan, create, and support the initial 2,000-square-foot exhibit at a special banquet at the annual meeting of the AASLH, held this year in Birmingham, AL, with generous underwriting provided by the History Channel. Two certificates will be handed out in honor of A Class Action—one to honor Nagel's dedicated leadership and one to honor the scholarship of Dr. Ray Rast, a historian, who was an assistant professor of history at California State University, Fullerton, during development of the exhibit. Nagel, long an advocate for creative collaboration, received her Ph.D. in education in 1992, from the SDSU/CGU Joint Ph. D. Program in Education. Her dissertation work, entitled Good Groups, reflected her passion for understanding group dynamics and organizing effective groups and "groupwork." She is a professor emerita of California State University, Long Beach. She also is the author of he Tao of Teaching, The Tao of Parenting and Effective Grouping for Literacy Instruction. Other awards Dr. Nagel has received include the Robert E. Kelly Award and the International Reading Association Celebrate Literacy award. For those of you planning to complete your program this semester, please be aware of the following deadlines. Be aware that during your last semester, you must register at CGU in EDUC 499 (Doctoral Study, 4 units) and at SDSU in ED 899 (Doctoral Dissertation, 6 units). Also, be sure to apply for graduation at CG and SDSU by the respective deadlines at both institutions. September 11--Last day to apply for December 2013 graduation. For more information on CGU dates and deadlines, please visit: http://www.cgu.edu/pages/10464.asp. For more information on SDSU dates and deadlines, please visit: http://arweb.sdsu.edu/es/registrar/apply.html. 1. You should be working with your two co-chairs in the development of your proposal. Check with them to see how they want you to work. Sometimes, one co-chair will work closely with you while the other waits to see what that co-chair has approved. Other times, both co-chairs want to see drafts at the same time. When BOTH co-chairs are satisfied with your draft proposal, they will tell you to send it to your other committee members. 2. Your dissertation proposal CAN NOT be defended until ALL four committee members have approved your draft. 3. When your draft has been approved, please contact our office staff so that they can work with CGU to schedule your proposal defense meeting. 4. You CAN NOT begin to collect dissertation data until your proposal has been approved AND you have received IRB approval. Remember that you only have to get IRB approval at ONE institution. At the time your proposal defense meeting is scheduled, we will inform you and your SDSU co-chair where to submit for IRB approval. 5. You need to work out a realistic timeline for the completion of your dissertation. Once you are at that stage, I STRONGLY suggest you communicate and work closely with your co-chairs in developing the first draft of your dissertation. Once they are satisfied with your draft, they will tell you to share it with your other two committee members. The California Council on Teacher Education (CCTE) is a statewide organization that promotes teacher education through its publications, Issues in Teacher Education and Teacher Education Quarterly, and conferences. There are two conferences each year: one in the fall in San Diego and one in the spring in San Jose. Recent conferences themes have focused on race, student engagement and schooling practices, clinical practice, and teacher leadership. Unlike AERA, the CCTE conferences are small, intimate, and friendly. Members are incredibly supportive of graduate students and CCTE is looking to expand participation of emerging teacher educators. Each year graduate students are invited to apply for support, which includes free membership, copies of CCTE journals, and paid conference fees. In return, supported students are asked to attend at least one conference and submit a proposal for a poster presentation. Last year's conference keynote speakers were Ken Zeichner and Etta Hollins (fall) and Ann Lieberman (spring). The fall 2013 conference in San Diego (October 24-25) features the theme "Regenerating the Field: Our Future Scholars, Practitioners, and Partners" with Robert Bullough slated as a keynote speaker. To find out more about CCTE and its graduate student support program, visit http://ccte.org/ and click on the "Join CCTE" link. You will find guidelines and application at the bottom of the webpage, or you may contact CCTE Graduate Student Caucus co-coordinator Karen Lafferty at karenlafferty@gmail.com for more information. While there is no deadline for applications there are limited funds available. Interested joint-doctoral students are encouraged to submit their applications as soon as possible. AERA provides dissertation support for advanced doctoral students to undertake doctoral dissertations using data from the large-scale national or international data sets supported by the NCES, NSF, and/or other federal agencies. Applications are encouraged from a variety of disciplines, such as, but not limited to, education, sociology, economics, psychology, demography, statistics, and psychometrics. The selection process is competitive. The next application deadline is Thursday, September 5, 2013. For additional details, please visit: http://bit.ly/OfszBP. The NAEd/Spencer Dissertation Fellowship Program seeks to encourage a new generation of scholars from a wide range of disciplines and professional fields to undertake research relevant to the improvement of education. These $25,000 fellowships support individuals whose dissertations show potential for bringing fresh and constructive perspectives to the history, theory, or practice of formal or informal education anywhere in the world. Fellows will also attend professional development retreats and receive mentorship from NAEd members and other senior scholars in their field. This highly competitive program aims to identify the most talented emerging researchers conducting dissertation research related to education. The Dissertation Fellowship program receives many more applications than it can fund. This year, up to 500 applications are anticipated and about 25 fellowships will be awarded. NASPA (Association for Student Affairs Administrators in Higher Education) is looking for graduate students and new professionals to serve in their Graduate Associate Program and on the 2014 Annual Conference Committee. Serve as a primary contact for students seeking information on how to get involved with NASPA. Provide updates to other GAs and the NASPA office on your current campus outreach efforts. Attend the Program Selection Meeting taking place in Washington, DC from October 4-6, 2013. In particular, this individual will be asked to focus and represent the graduate student/new professional perspective. All travel expenses will be covered by NASPA (flight, hotel, meals, ground transportation). Responsible for reviewing and selecting submitted pre-conference workshops. Will have on-site responsibilities at the 2014 NASPA Annual Conference pertaining to programs and pre-conference workshops. Individual will be responsible for all expenses related to attending the 2014 NASPA Annual Conference. The Council on Ethnic Participation's Mentor-Protege Program (CMPP) is intended to provide participants with the opportunity to establish mutually beneficial mentoring relationships. To facilitate this process, proteges will be paired with mentors based upon research interests. Their hope is that this mentoring relationship will contribute to the rotege and mentor's personal development and professional advancement. The CMPP is currently accepting applications and highly encourages doctoral students, recent graduates, post-doctoral fellows, as well as junior and senior faculty to participate in this mentoring program. Applicants can serve dual roles (i.e., protege and mentor) in the CMPP. Please note that submitting an application does not guarantee you will be a participant. Assignments will be based upon the availability of proteges and mentors. By submitting an application, you are agreeing to attend the Meet Your Mentor-Protege session, mentoring workshops, and other relevant professional development activities organized during the Council on Ethnic Participation's Mentor-Protege Program on Thursday, November 14, 2013 from 8:30 a.m. - 12:00 p.m. Additionally, participants agree to register for the pre-conference. For more information, contact David Perez II atdavidperezii@miamioh.edu or Patricia A. Perez at pperez@fullerton.edu , CEP Mentor and Protege Program Committee Co-Chairs. The deadline for the application is October 4, 2013. Since the first issue published in 1973, New Directions for Community Colleges (NDCC) has been devoted to providing community college practitioners with useful information and expert guidance. NDCC is a quarterly sourcebook that presents the latest developments and emerging issues in community college education to an audience of administrators, faculty, student affairs leaders, trustees, and decision-makers. The themes of issues recently published or in process are: community colleges in global contexts; urban community colleges; fostering liberal arts in community colleges; the completion agenda and completion by design; institutional collaborations; and college impact theory in community college student affairs. NDCC titles are listed on the Wiley Online Library site at: http://onlinelibrary.wiley.com/journal/10.1002/(ISSN)1536-0733. NDCC issues are edited by distinguished scholars and practitioners in the field. They invite proposals for issues with a 2-page prospectus detailing the title, purpose, and content of the issue, including chapter titles and chapter authors. Proposals should be submitted to the editors, Arthur M. Cohen (florart@ucla.edu), Caroline Q. Durdella (cdurdella@saddleback.edu), and Nathan R. Durdella (nathan.durdella@csun.edu). The Journal of College Admission is the peer-reviewed scholarly journal of the National Association for College Admission Counseling (NACAC). Its mission is to support and advance NACAC's work and college admission counseling professionals by providing readers with lively, challenging discourse on issues relevant to the transition to postsecondary opportunities. The Journal Welcomes Your Submissions! From the latest research methodology to opinions on new trends to the tribulations of trying to eat on the road, contributions come in all shapes and sizes--just make sure they connect to college admission counseling. Submit your articles to the Journal editor (journal@nacacnet.org) by August 31. New Directions for Higher Education (NDHE) is a quarterly journal addressing the latest developments in higher education. The series provides timely information and authoritative advice about major issues and administrative problems confronting colleges and universities to presidents, vice presidents, deans, and other higher-education decision-makers on all types of campuses. Each volume in the series is a completely self-contained, fully indexed edited collection featuring contributions from some of the top minds in the field. Recent volume topics include: collegiate transfer; reframing retention strategy for institutional improvement; peer leadership; and dual enrollment strategies and outcomes and lessons for school and community partnerships. All titles are listed on the Wiley On Line Library Web site: http://tinyurl.com/p4tf5oa. The volume is edited by Betsy Barefoot and Jillian Kinzie. Author Guidelines: Authors are invited to submit 1 to 2-page prospectus outlining the purpose and content of the volume, including tentative chapter titles and chapter contributors, and information about the author's educational background and publication history. Proposals should be submitted to the editors, barefoot@jngi.org and jikinzie@indiana.edu. Information Age Publishing (IAP) is looking for manuscripts that take as their topic the full range of bilingual-bicultural education issues in PreK-16 education. Contributions need to examine the most informed and effective instructional programs, practices and policies for English Language Learners (ELLs) in this era of Common Core Standards. The content of each manuscript should focus on the state of the art and research on successful programs and practices for instructing ELLs with new evidence-based developments in the field. Because policy decisions influence practice, we are very interested in the implications and implementation of policies to encourage conversations that inspire changes in practice that lead to improved learning in classrooms with ELLs. Authors should follow the guidelines in the Publication Manual of the American Psychological Association (6th ed., 2009) when preparing manuscripts. Manuscripts must include an abstract of approximately 150 words (maximum of 1200 characters, including spaces) that succinctly summarizes the key points. Manuscripts cannot exceed 30 pages, including references, tables, and figures. Authors should also list two to five key words to identify the contents of their paper. Submit manuscripts in Microsoft Word format, via email to the following address: Liliana Minaya-Rowe (wirakocha@aol.com). The effects of campus climate on college and university constituents have been of interest to researchers and policymakers for decades. Campus climate is "the total effect of the environment - institutional and community - that influences the experience of those who work and study at the college or university...campus climate is about perception - about how it feels to be in that community, not simply what happens" (National Institute of Independent Colleges and Universities, 1991, p 2). Campus climate studies hold the greatest potential for understanding the experiences of constituents in institutions of higher education as revealed through their perceptions. This book on Conducting Effective Campus Climate is anticipated to be released in 2014. Inquiries and Word Document submissions should be forwarded electronically to: Abbie Robinson-Armstrong, Ph. D. (arobinso@lmu.edu). Submissions are invited for a special issue of the Journal of Excellence in College Teaching that explores ways to integrate communication instruction much more broadly through science, technology, engineering, and mathematics (STEM) curricula than occurs at most universities today. Papers that describe transformational approaches toward teaching communication skills within STEM curricula that extend beyond the typical writing-intensive or communication-intensive approach by integrating communication instruction more widely through the curriculum are invited. The 12th Annual Hawaii International Conference on Education will be held from January 5th (Sunday) to January 8th (Wednesday), 2014 at two venues: the Waikiki Beach Marriott Resort & Spa; and the Hilton Waikiki Beach Hotel in Honolulu, Hawaii. Honolulu is located on the island of Oahu. Oahu is often nicknamed "the gathering place". The 2014 Hawaii International Conference on Education will once again be the gathering place for academicians and professionals from Education and related fields from all over the world. For full conference details, visit their website at: http://www.hiceducation.org. All areas of education are invited. The University of Melbourne and the Faculty of Business and Economics invite you to take part in the second annual 'Higher Education Research and the Student Learning Experience in Business' (HERSLEB) conference. This conference brings together key contributors to scholarly research into the student learning experience in business education to facilitate exchange of knowledge, experiences, and achievements and to engage in communication about current trends, future developments and innovations relating to student learning experiences in higher education. Please also note papers for the HERSLEB Conference are encouraged to be submitted for consideration in a special issue of the peer-reviewed Emerald (UK) publication: Journal of International Education in Business. The special issue will appear in 2014. Education Policy Analysis Archives (EPAA) announces a call for papers for a special issue exploring how research assessment exercises and ranking regimes are affecting scholarly journals globally. Do scholars seek to become public intellectuals and write for The Public when they must publish in a language unintelligible to their particular publics? What topics have been lost in the move toward international scholarship? How have library budgets adjusted to the costs of the growing number of commercial journals that are charging ever higher subscription prices? How has the focus of academic research changed in recent years as a consequence of these trends? Submission Information: All manuscripts should be submitted electronically through the EPAA website and follow the Journal's submission guidelines: http://epaa.asu.edu/ojs/. They will not consider manuscripts submitted for publication or published elsewhere.